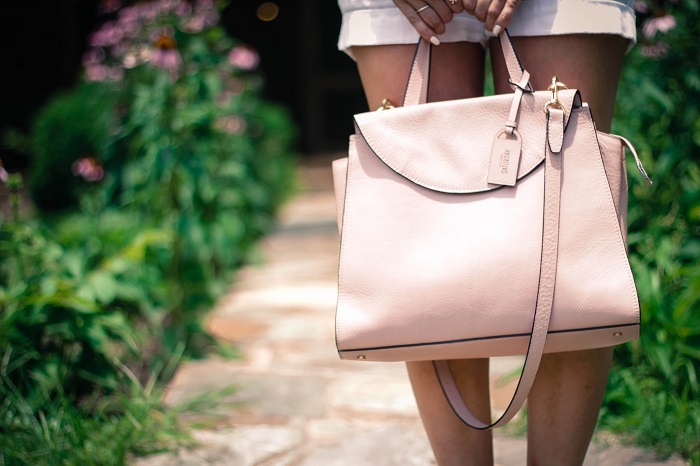 I have been leaning toward white and light pink this summer more than I ever have before, and I blame it on my new bag. Since having my large black tote stolen over a year ago, I haven't found an affordable bag that I could see myself use everyday. It's big enough to fit all of my random receipts, chapsticks and camera. I love this almost-monochromatic look on you...so classy and perfect for these miserably sticky days! 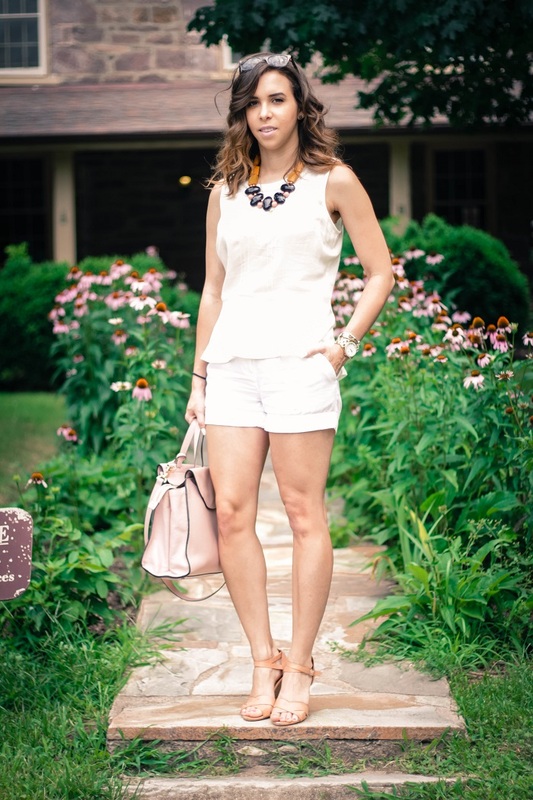 i have been craving all white outfits all summer. I love all white look! And your accessories are great too! Very stylish and summery. Hi! I just bought a similar colored bag and was wondering, how do you keep the bag clean since it is such a light color? Hi Linda! A leather lotion/moisture and a soft cloth (like the bag a nice bag would come in) and just rub the bag and the marks should go away. also a handbag associate at Nordstrom told to me to lotion it often to help with marks, hope this helps!